Three leading UK-based entrepreneurs have today announced their investment in largemortgageloans.com Limited as the specialist large loans broker begins its next stage of development, building on its global business strategy which has already seen 16,000 visits to its website from over 100 countries. The new investors are Jon Moulton, chairman of private equity firm, Better Capital, Neil Redcliffe, group managing director of Currencies Direct and Alan Burgess, managing director of Masterframe Windows and board member of FENSA, the GGF and BFRC. Both Neil and Alan met largemortgageloans.com’s managing director, Paul Welch, at Cranfield School of Management and subsequently through the Vistage International group, which specialises in executive leadership development. Jon Moulton has introduced Eric Cater, Chairman of Hood Group Ltd, who has been appointed Chairman and also made an investment in the company.  The largemortgageloans.com brand was launched in 2006, using Paul Welch’s expertise as an IFA and private banker to help clients borrow in excess of £500k to buy property, handling over £2.5 billion in loan enquiries in 2008. The broker reacted quickly to the downturn in the market by adjusting its business model and building a high quality streamlined team with low overheads, designed to weather the storm. Over the last few years, the team at largemortgageloans.com has developed great personal relationships with various private banks, bringing their products and services to the mortgage industry via a series of strategic partnerships and has a reputation for using innovative methods of communication to attract and stay in touch with its clients. With so many mortgage brokers finding life difficult in 2010, the expertise, support and unrivalled business connections of the 3 new investors will help largemortgageloans.com become the first choice, large loan broker in the UK, as it develops its market leading business to business proposition for IFA, broker and estate agent networks, to complement its well established direct to consumer proposition. Its large loan referral service and private bank connections are both proving popular with introducers looking for extra revenue opportunities in the current environment. Jon Moulton is Chairman of turnaround investment vehicle, Better Capital. He is a Fellow of the Institute for Turnaround and a Corporate Financier in the Institute of Chartered Accountants in England and Wales. He is a member of the British Venture Capital Hall of Fame. He is also non-executive chairman at FinnCap, the UK based specialist growth company adviser and broker. Between 1997 and September 2009 Jon Moulton was the Managing Partner and founder of Alchemy Partners. Previously at CVC, from 1985 to 1994 Jon was the Managing Partner and founder of Schroder Ventures, where he focused on LBOs and venture capital. Between 1994 and 1997, Jon was the Director in charge of LBOs at Apax Partners. He has been involved in numerous turnaround deals since 1980. Having spent all his working life in the window industry, at Crittall Hope and Rehau Plastics, Alan Burgess has built Masterframe windows ltd into the UK’s leading PVCu sash window manufacturer, with the acclaimed Bygone collection of PVCu and wooden sash windows and national network of trusted local installers. Sitting on the boards of the GGF, Fensa and BFRC, he brings sound, down to earth, practical common sense solutions to business issues, that have enabled him to start, then grow a family business and a create a niche market through two recessions. Neil Redcliffe has been associated with Currencies Direct since 1997 when he invested in the fledging start-up. A full time director since 2000, Neil was promoted to the position of Group Managing Director in 2003. Educated at the University of London with a degree in Economics, Neil is a chartered accountant who trained with Price Waterhouse (now PriceWaterhouseCoopers). He holds an MBA from the Cranfield School of Management, and has been involved in property development throughout much of his business career. He is a driving force in creating this successful international group, spearheading the company’s commitment to the highest standard of customer service because he knows that taking care of delivering clients’ funds is not a responsibility to take lightly. He strongly believes that by promoting the values of honesty, integrity, loyalty, excellence and fair play, a mutual sense of trust develops between clients, affiliates, staff and all others who deal with Currencies Direct. Outside of his obvious passion for the company he has helped grow from a fledging start-up to a multinational Fast Track 100 Company; Neil is also a strong advocate for the City of London. As an Alderman he is passionate about promoting the City of London as a world class centre for international businesses. He sits on the IOD, City of London Panel for the Bank of England and is a member of the Court of the Worshipful Company of Basketmakers and a freeman of the World Traders Company. He is Hon Treasurer of the City Livery Club and a member of the Bishopsgate, Coleman Street and Tower Ward Clubs. Neil is married with two children. His interests include skiing, sailing, rugby union, tennis and good food!